ELCA Advocacy presents our public policy priorities for 2018. This policy action agenda focuses the work of the Washington, D.C., advocacy office on current issues central to God’s vision of a just world where all are fed. ELCA Advocacy invites you to live out your baptismal identity through participation in opportunities to learn and act with and on behalf of your neighbor with the ELCA Advocacy network. The agenda outlines our primary areas of focus and is flexible enough to accommodate responses to emerging legislation that address disaster response or immediate circumstances. How do we determine advocacy priorities? Issue selection is based on many factors, starting with prayerful consideration of God’s vision for a more just world. Issue agendas are based on concerns that the ELCA has identified and spoken about through social statements, churchwide assembly memorials or other authoritative documents. Priorities reflect issues on which the ELCA can have a unique and decisive impact with the federal government. Advocacy priorities carry forth the vision of ELCA World Hunger to support transformative, integrated and wholistic ministry where barriers are broken down and inequalities decreased and where relationships and communities are whole and flourishing – a just world. Integrated – advocacy priorities connect with and reinforce other ELCA churchwide priorities and initiatives. Wholistic – advocacy action is informed by ministry experience of congregations and ministries in the ELCA, with particular attention to the concerns of ethnic-specific ministries, global-ministry partners and goals of racial and gender justice. Transformative – advocacy initiatives provide engagement opportunities to inform and transform individuals, ministries and congregations in their walk of faith by embracing charity and justice. Advocacy priorities are shaped, when possible, by the joint commitment to action with faith partners or coalitions. Priorities also build on the available opportunity created by Congress’ agenda. 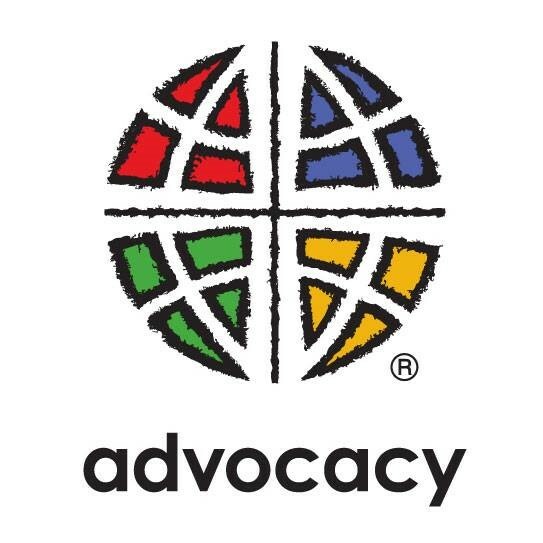 Lastly, there must be sufficient support from the ELCA Advocacy network so that this vital work is amplified through local faith-leader advocacy in districts and local communities. From rural America to developing countries, many of our nation’s food and farm policies, as embodied in the farm bill, impact our communities. Programs and policies that curb hunger and malnutrition, support vibrant agricultural economies in rural communities, and promote the sustainable use of natural resources must be prioritized. Thousands of children and families from Central America continue to flee their communities due to violence, lacking protections in their home country, hunger and poverty, and environmental degradation. As a church, we envision a world in which children and families are never forced leave their homes to live a safe and a sufficient life. To do this, we advocate for policies that address the root causes of migration. At the same time, we call for the immediate protection of displaced people, including those who have been members of our communities for years but lack legal status. Environmental degradation disproportionately impacts the marginalized and the vulnerable, exacerbating issues of poverty and hunger. These issues manifest themselves in social areas such as gender, racial, economic and environmental injustices. ELCA Advocacy will raise awareness of the impact of environmental degradation, support environmental and energy literacy, and help congregations and church leadership understand what can be done to steward God’s creation. The transition away from fossil fuels will mean changes in the economic livelihood of individuals, families and communities directly and indirectly dependent upon this industry. This transition must include comprehensive planning that incorporates methodologies on how we get from where we are today to where we need to be. Homelessness and the lack of affordable housing continue to be systemic issues that affect many people in our communities. Investments in affordable housing and rental assistance provide stability that can help families overcome serious barriers, such as affording better health care and education, reducing food insecurity, and recovering after natural disasters. The United States has the largest prison population in the world. Many incarcerated men and women who commit non-violent drug offenses are sentenced to harsh and unjustly long prison terms. These policies result in considerably high prison populations and disparities in sentencing for drug offenses, disproportionately affecting communities of color. Legislation that reforms sentencing and provides resources for returning citizens will directly reduce recidivism rates and prison populations. Congress and the administration may embark on efforts to dismantle three critical safety-net programs that have existed for over 50 years. Medicaid is the largest health insurance program in the U.S. that serves the poorest families and individuals. Medicare was created in 1965 to provide health care coverage for individuals aged 65 and older. Social Security provides monthly cash benefits to retired or disabled workers and their family members, and to the family members of deceased spouses or parents. In 2016 the law that makes possible many child nutrition programs like the School Breakfast, National School Lunch, Summer Food Service, and the Women, Infants and Children Program (WIC) expired. While these programs continue to receive annual funding, the opportunity to expand and innovate these hunger programs awaits congressional action. U.S. foreign assistance plays a critical role in the fight against extreme poverty. Due to federal budget constraints and internal program realignments within our government, international development and humanitarian programs are increasingly in danger of being defunded or eliminated. For many families around the world, such steps would leave them without the support they desperately need. We must continue to raise our voices to ensure that all God’s children are cared for. Every year, 1 in 3 women experiences gender-based violence globally. The U.S. government can play a leading role in addressing this issue, given its footprint in many parts of the world. Many countries continue to experience civil conflicts, and prevention of mass atrocities remains a big challenge around the world. The U.S. government can play an important role in peace processes, conflict prevention and the promotion of human rights. The ELCA’s new social message on human rights gives us new ways of speaking about these issues and will help us promote equal rights of all people through advocacy and other ministries. Your ELCA Advocacy staff in Washington, D.C. works on these priorities throughout the year. They are issue experts and recognized leaders in the faith advocacy community. They attend briefings, research issues, strategize with coalitions, consult with ELCA members, engage ELCA leaders, visit congressional offices, and create platforms for the voices of our communities to be heard. To contact these staff members directly, please email washingtonoffice@elca.org.